Gun violence continues to ravage the City of Chicago where citizens are held hostage in their homes and neighborhoods. This year, roughly 1,700 people were reported shot. Over the first weekend in August, over 70 were wounded by gunfire and 11 killed – ages 11 to 63. Chicago native and Turning Point USA founder Charlie Kirk took to the streets to ask residents their thoughts on the gun violence and what to do about it. 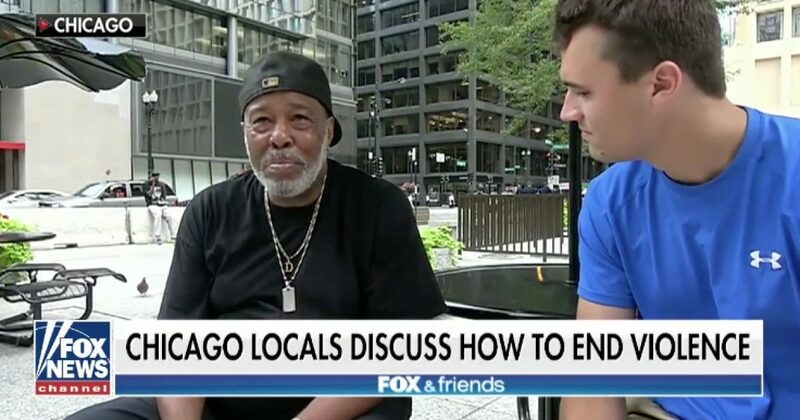 “We have a lack of father problem in the black community, especially in Chicago,” Kirk said, noting that in the 1960s the single motherhood rate in the black community Chicago was approximately 18 percent, and that number is now over 75 percent. “Think about that: In Chicago, only 25 percent of black youth will even have a father in the household,” Kirk said. Several factors contribute to the violence on Chicago streets including fatherless households, lack of discipline among youth, poor educational opportunities, and gang activity. While Illinois has tough gun law restrictions, criminals use the law to their advantage.